Thinking of studying in Australia? 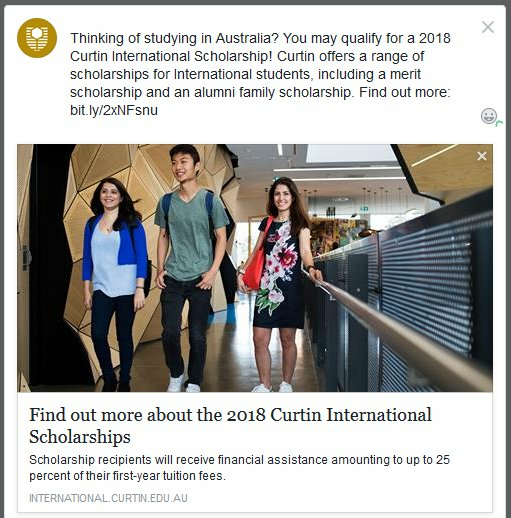 You may qualify for a 2018 Curtin International Scholarship! Curtin offers a range of scholarships for International students, including a merit scholarship and an alumni family scholarship. Scholarship recipients will receive financial assistance amounting to up to 25 percent of their first-year tuition fees.